Garni temple, which towers over a triangular cape, is the unique survived example of heathen culture in Armenia. It is a blend of Greco-Roman and Armenian styles. King Trdat the first ordered building of the temple in the first century A.D. and dedicated it to the God of Sun. 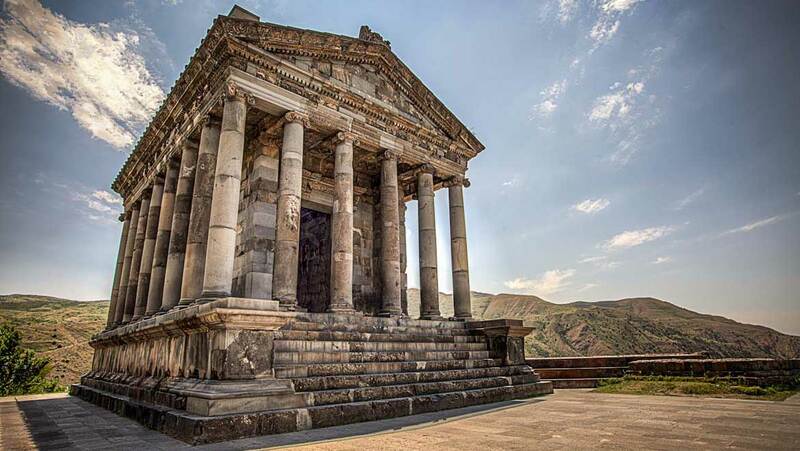 After adopting Christianity in 301, the pagan temple lost its significance and the fortress of Garni became the summer residence of the kings. Nowadays the ruins of the royal palace and the bathroom with a stunning mosaic work can be found near the temple.